Don't forget to check out my current Morning Skincare Routine. I'll start by talking about their face masks, as they're the reason I fell in love with Origins! I've only tried the Drink Up-Intensive Overnight Mask, and the Out of Trouble 10 Minute Mask so far, but they're both amazing, very hydrating and smell amazing-kind of tangy ginger-y! I got the 3 smaller ones (the upside down ones), in the sale after xmas at work, they were less than £20 for the three and came recommended by my colleagues, and since i've wanted to try Origins for a while, I thought that that was a great place to start. 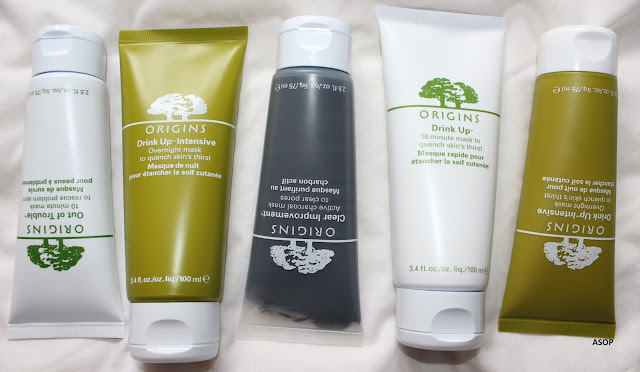 I also recently ordered from the Origins website, and bought the two Drink Up masks; I needed a backup of mine since I love it so much, and I wanted to try the other Drink Up mask, to see if it was as good as the other! With my order, I received a free Checks and Balances Frothy Face Wash (Full Size), and a Deluxe 'Sample' of their Plantscription Anti-aging Power Serum-I thought there was a typo on their site when they said I could receive this free as for a bottle half the size, it costs about £60, so I'm pretty sure this is worth over £120 and was free! *gasp*. I definitely couldn't resist, as I also received 3 mini samples with my order too! The Out of Trouble (£23/ 100ml) 10 minute mask is to help rescue problem skin, it is recommended for people who have combination/oily skin. The mask is supposed to soak up excess oils from your skin, remove sticky, dead cells, and gross debris. Leaving your skin less oily, but cleaner and hydrated! It's often used to clear up spots and acne. I use my Drink Up Intensive (£23/ 100ml) mask 2 or 3 times a week in place of my normal night cream, this mask is a great moisturising cream for those of us who have often spouts of dry skin, or need a pick me up over night. It's creamy but not too heavy, helps cleanse, and quenches your skin amazingly! Definitely a staple in my skincare regime. The Clear Improvement (£23/ 100ml) charcoal mask is used for clearing pores, this mask is used like most others-left to dry, and then rinsed off properly in order to leave your skin feeling cleaner and fresher-it claims to get to the bottom of your skins overcast condition, and clear the way for it to act its best-whilst unclogging pores, and removing any grime left from everyday environmental pollutants. 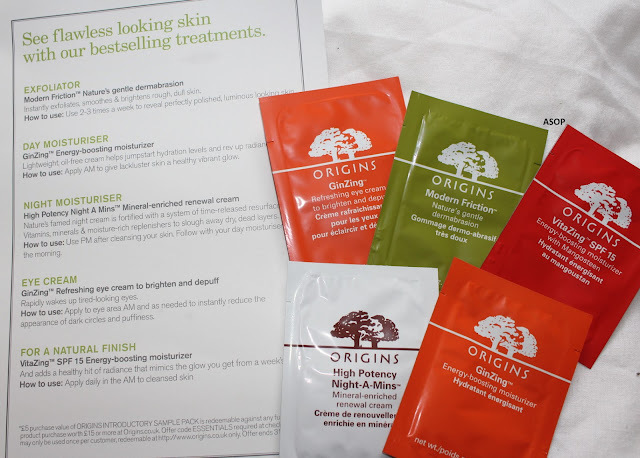 Origins' Drink Up (£23/ 100ml) 10 minute mask, is a quicker way to quench your skin's thirst than their Drink Up overnight mask-it's used for skin that feels tight and flaky after dehydrating circumstances-it allows skin to feel more hydrated, smoother, and cleaner! 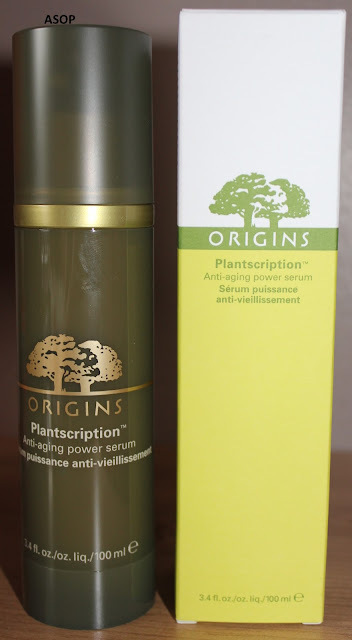 Like I said previously, I received this full sized 'sample' of their Plantscription anti-aging power serum (£62/ 50ml), which I was allowed to choose with the purchase of my face masks, it's double the size of what they sell on their site, and i've wanted to try a serum for forever, I just didn't want to fork out a load of money for one! I'll probably be reviewing this for you in the future! I'm not sure if I quite need anti-aging yet, but I guess it's never too early to start preventing signs! When I saw 'deluxe sample' at 100ml, I thought it was a typo as for 50ml, it costs £62, so imagine my surprise when I did actually receive a 100ml of this product with my order! 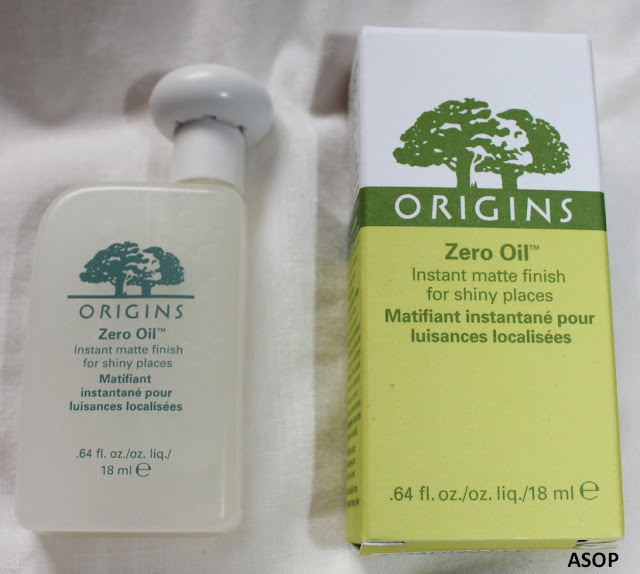 Sometimes I have oily skin, and therefore ordered their Zero Oil (£14/ 18ml) instant matte finish to try and combat my shininess. I think this works out as the most expensive item i've bought from them as it's pricey for a little amount, I hope it's good! It's supposed to stop your skin from feeling tacky after it has been exposed to everyday problems, like heat, stress, etc. It boasts the ability to blot up greasy shine without over drying, and results in a smooth, invisible finish that stays matte all day; we shall see! In my first order from their website, I bought a sample set of some of their products in miniature form, however, I now have 3 of these in full size, and the modern friction in 3x mini, lol. I need to decide whether to use these before breaking into my full sized products to see whether I like them first, or to keep these in case I do end up going away..... p.s. the GinZing moisturiser smells Ah-Maze-Ing!!!!!! This set cost me £15. Look how dirty the box was that Boots sent me? *cries silently*, when I buy products in stores, i'm OCD about choosing very neat, clean packaging, even if i'm going to throw it away, so when I picked up my Boots.com parcel in store, I was like, ew. 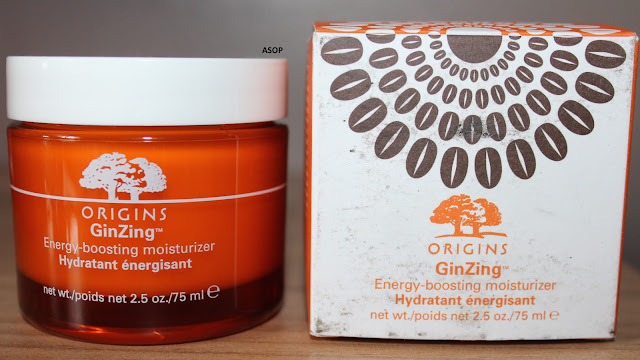 The packaging of the GinZing Energy Boosting Moisturiser (£23/50ml || £25/75ml) has a lovely unique design (the actual picture, not the dirt, ha), and is a limited edition 75ml jar instead of their normal 50ml, I love the colour of the jar, such a lovely shade of orange for a 'refreshing' product! I decided to get an extra 25mls for £2 more than their 50ml, who wouldn't? This product smells AMAZING! So fresh, and tangy for the morning, but not overly potent. It's a hydrating, oil-free, daily moisturiser which is fortified with skin-boosters, like Panax Ginseng, and Coffee Beans which are supposed to boost hydration levels, leaving your skin looking healthier, refreshed, and glowing. I can't wait to start using this over the summer! 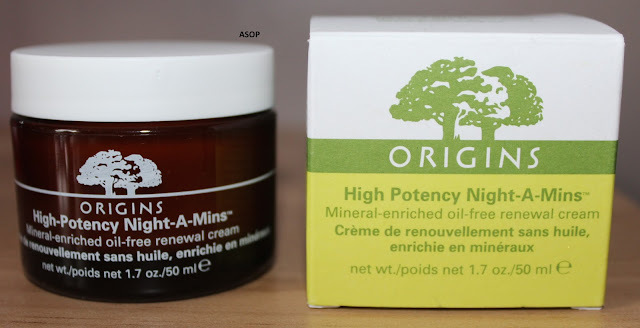 I bought the High Potency Night-A-Mins and the GinZing Refreshing Scrub Cleanser with the Boots giftcard I got cheap from Zeek; if you haven't read my previous post on how to get cheaper gift cards, check it out here. I decided to buy the Night-A-Mins (£34.50/50ml) as i'm always trying to find an amazing night cream that allows me to wake up with hydrated skin, that is also not too oily, alas, I have yet to find the perfect one, here's to hoping this is it! I chose the oil-free version as i've said before, I often suffer from oily skin and I don't want to add to it, I hope this doesn't dry my skin out though! It is supposed to put dullness to rest, and allow you to wake up feeling radiant and refreshed. It's fortified with a system of time-released resurfacers, plus vitamins C, E, and H, minerals and moisture-rich replenishers, resulting in you waking up feeling refreshed and oil-free. I also bought the GinZing refreshing scrub cleanser (£18.50/150ml) with my gift card, but forgot to photograph it *hangs head in shame*. 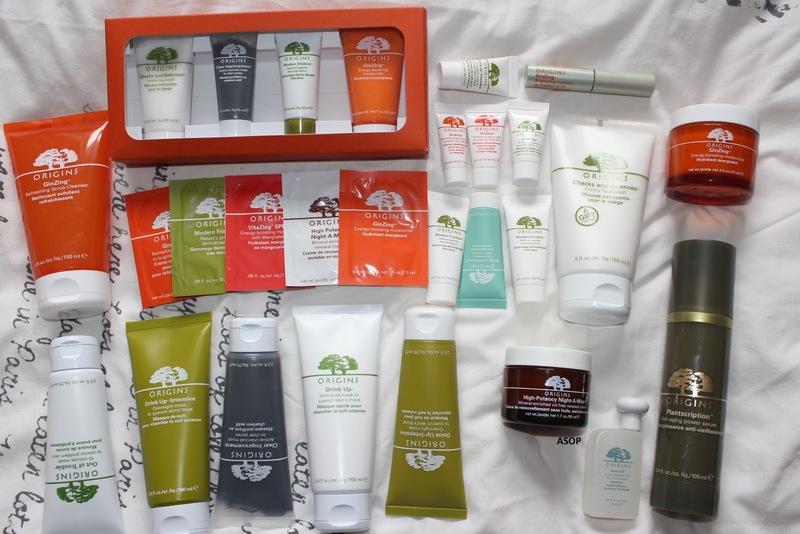 I'm really excited to try this with my GinZing moisturiser, as I love the smell of them! It is supposed to leave skin looking and feeling smoother and brighter, resulting in a refreshed a squeaky clean feel. The scrub is meant to gently exfoliate your skin and unclog your pores! I also received a sample of the Modern Friction dermabrasion scrub which i'll definitely be trying soon!! I ended up with 3 of these minis, but they'll allow me to properly decide if I want to buy the full size or not, they'll also come in handy if I do end up going on holiday this year (unlikely, but ya never know!). 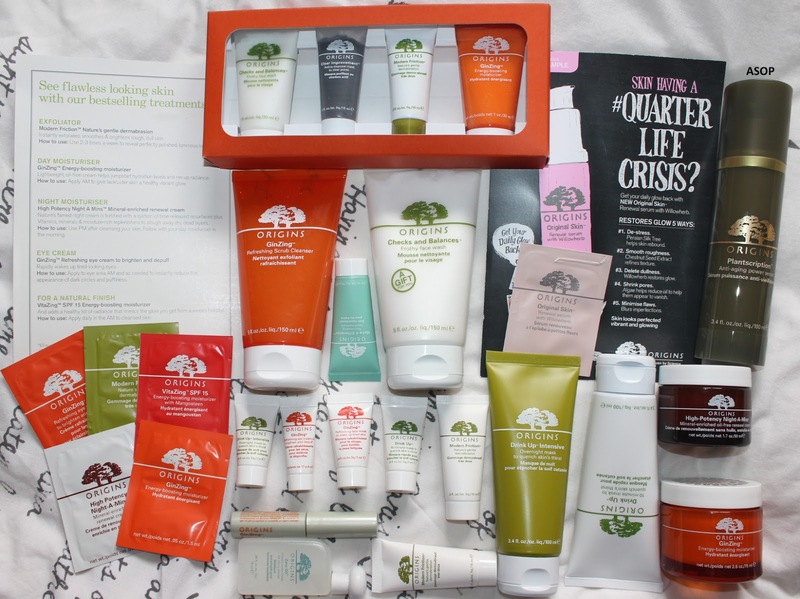 Additionally, with every order, you get to choose two free samples, I chose the two Drink Up masks, as although I own them, they'll come in handy on trips or if i'm running low, etc. With my second order, I received two free full sized products, the Checks and Balances frothy face wash, which i'm really looking forward to trying, to see whether it dries my skin out or if it's like the Botanics one I have and cleanses without doing so! 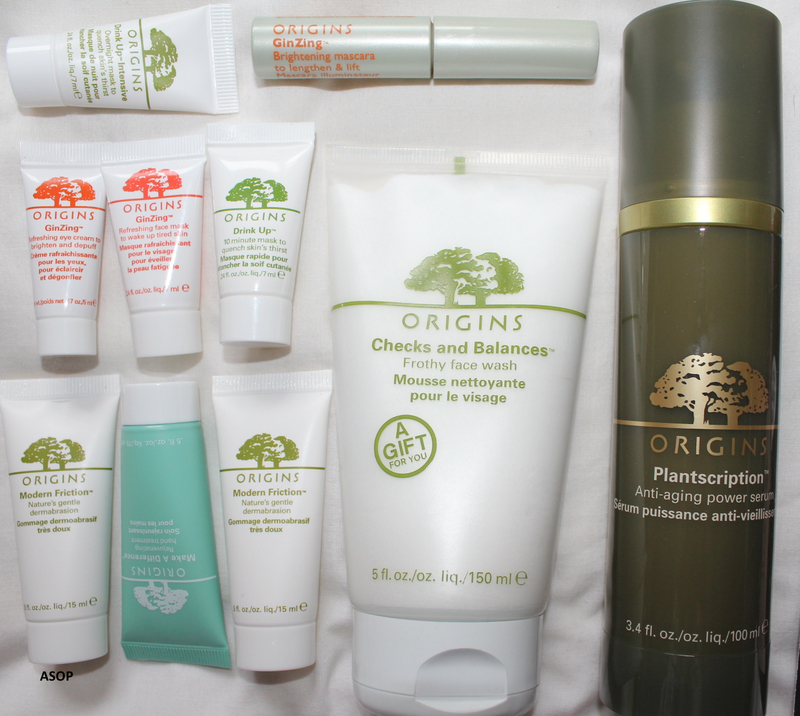 I also received a deluxe sized 'sample' of their Plantscription anti-aging power serum, I also received another free sample of their Modern Friction, and then I chose samples of their GinZing face mask, and their Make a Difference hand cream; one can NEVER have too many hand creams, and I wanted to try their GinZing face mask to see if I need a full size, ha! Each of the teenie tiny tubes came with a small information card too, which I think is excellent as many samples don't come with a list of their ingredients or instructions! I want to try their bodycare products next, too! 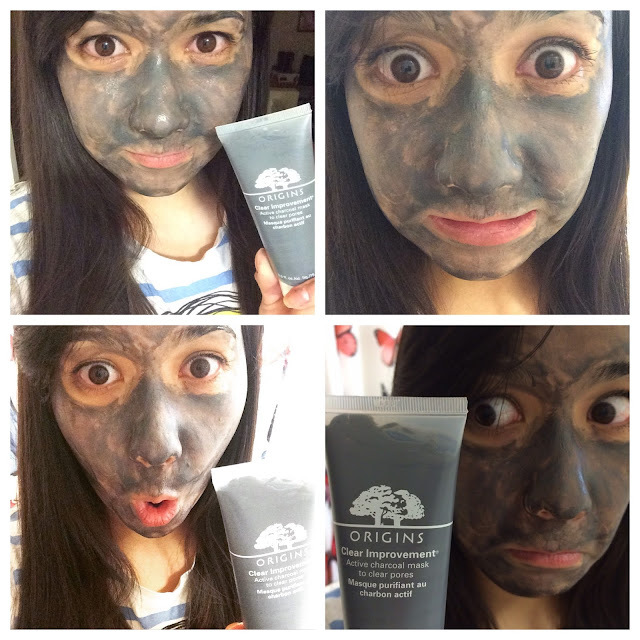 What do you think of Origins? Is there anything here you love, or recommend? Remember to sign up to their newsletter to be informed of all their offers!